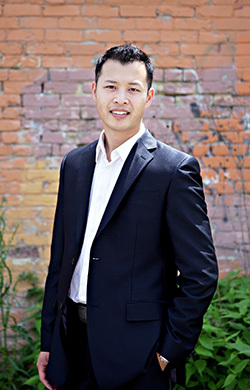 Jonathan Chan is the principal broker at Mortgage Alliance Accumetrix, which is a registered franchise of the Mortgage Alliance Network, the most trusted and recognized mortgage brokerage in Canada. Jonathan leads a dedicated team of mortgage agents all ready and willing to help with your mortgage needs and questions. With a background in financial planning and more than 17 years of professional experience in the financial services industry, Jonathan can capably and competently assist his clients in Aurora, Newmarket, and York Region in achieving their homeownership and investment goals. With his client-focused approach, Jonathan concentrates on providing the level of knowledge and understanding that borrowers need to make confident, comfortable, and informed decisions about the mortgage product that best suits their needs and budget. Jonathan works for you, not for the banks; he strives to learn about you as an individual, to earn your trust and confidence, and to provide the optimal solutions that best fit with your needs and plans. When you meet with Jonathan Chan, you are essentially meeting with 30+ moneylenders within his network of contacts, ranging from traditional lenders such as the banks and credit unions to more progressive options like investment companies and private and securitized lenders. With this spectrum of lending alternatives available, along with their numerous and diverse mortgage products, Jonathan can help you wade through the various options to find the most competitive rates for your specific situation. The mortgage decisions you make can save thousands of dollars and reduce your mortgage by several years; but reaching these decisions can be a rather complicated and confusing process. Working with the right broker will help you obtain the right mortgage, and working with Jonathan will help simplify the process to secure the solution that best fits your needs. To make your homeownership dream a reality, call Mortgage Alliance Accumetrix today at 905-780-0908 or contact us to get Jonathan Chan and his team working for you as soon as possible.